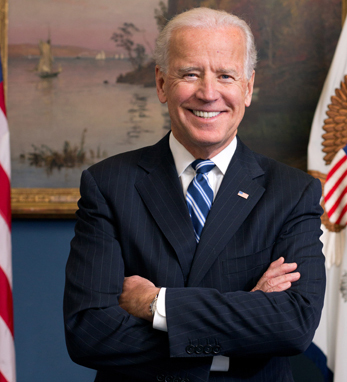 Born in the heavily Irish Pennsylvania town of Scranton, Vice President Joe Biden has been an elected public official for over 40 years. His reason for entering into politics? What he calls the “Irish ethic of loyalty” that comes from a family history of public service. “In my family, politics wasn’t a dirty word, it was about righting things that were wrong,” Biden says. It is no surprise that one of his political icons is Wolfe Tone, who Biden described in a past interview as Senator with Irish America as “the embodiment of some of the things that I think are the noblest of all. Vice President Biden’s political heritage goes back to his maternal great-grandfather, Edward F. Blewitt, who was the first Irish Catholic state senator in the Pennsylvania Commonwealth senate. Blewitt also co-founded the Friendly Sons of St. Patrick in Scranton, around 1908. There is still a plaque in existence in Scranton commemorating the foundation that bears his name. Biden’s first memories of his Irish family center on his trips to his grandparents’ house where he encountered his Aunt Gertie’s terrifying stories of the Black and Tans (whom she’d never seen). Nonetheless, Biden says, when “she’d finish telling the stories, I’d sit there or lie in bed and think at the slightest noise, ‘they are coming up the stairs.’” By that time, the Bidens had relocated to Delaware. Biden entered public service and was elected to the U.S. Senate just shy of his 30th birthday in 1972 as the junior senator from Delaware. Since then, he has earned widespread bipartisan respect for his tempered debating and reasonability when it came to making deals between Democrats and Republicans. Since being elected alongside President Obama in 2008, Biden has risen in profile from a respected, low-profile inside man to one of the most publically popular politicians in recent memory. Recently he led the charge away from the fiscal cliff, working out a deal with Senate Minority Leader Mitch McConnell at the eleventh hour, and is currently at the front of the gun control debate, defying conventional wisdom and actually gaining traction with his recommendations. So far, he has met with the NRA, Walmart, and most major gun constituencies, forcing a dialogue where none existed before.